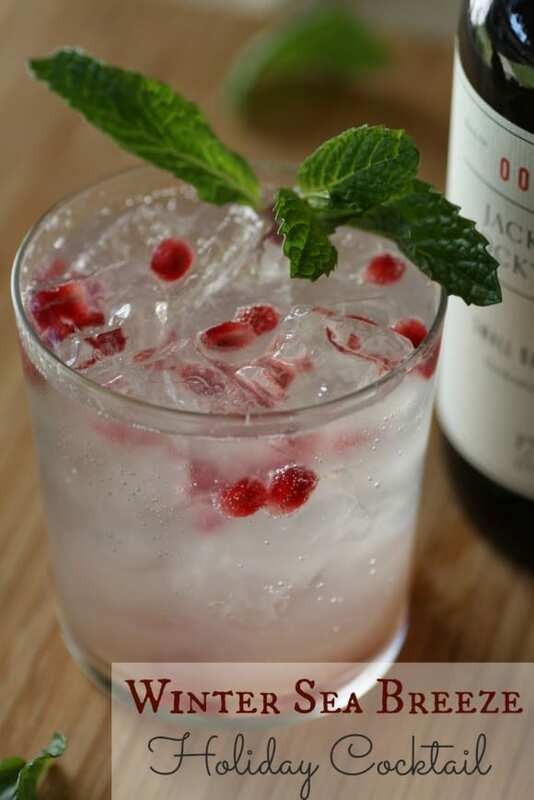 Make This Delicious Winter Sea Breeze Holiday Cocktail! 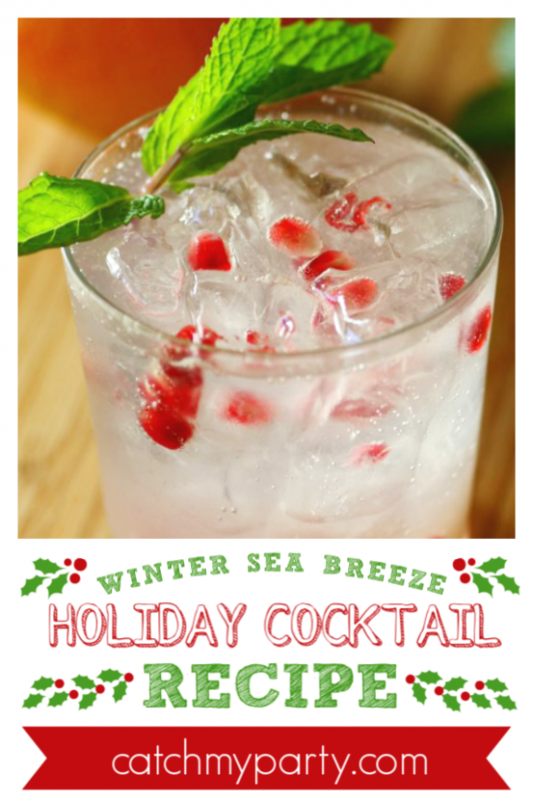 This winter sea breeze holiday cocktail recipe is hands-down my favorite holiday cocktail to serve. 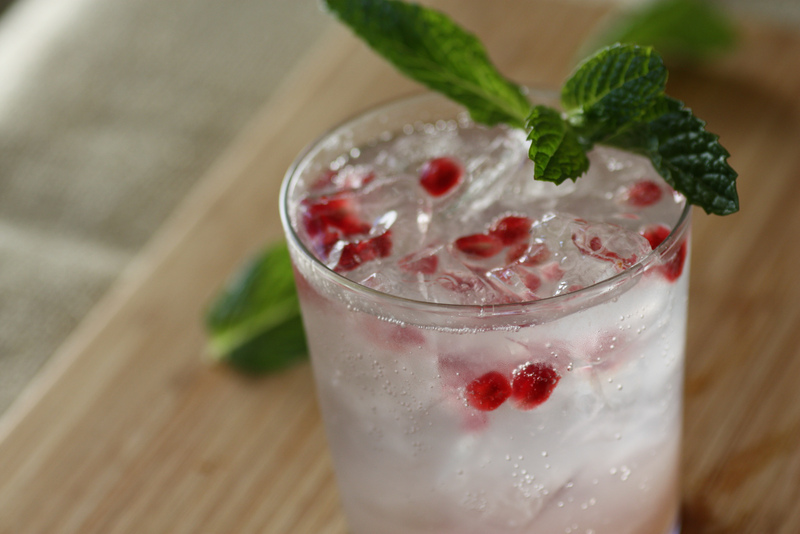 It's bright, bubbly, tangy, and crisp, plus the pomegranate seeds and spring of mint give it a festive Christmas feel. If you're looking for a signature holiday cocktail, I recommend you try this! Fill your glass about 3/4 full with ice. A lowball glass is the perfect size. Add the vodka, grapefruit juice, tonic syrup* and stir. 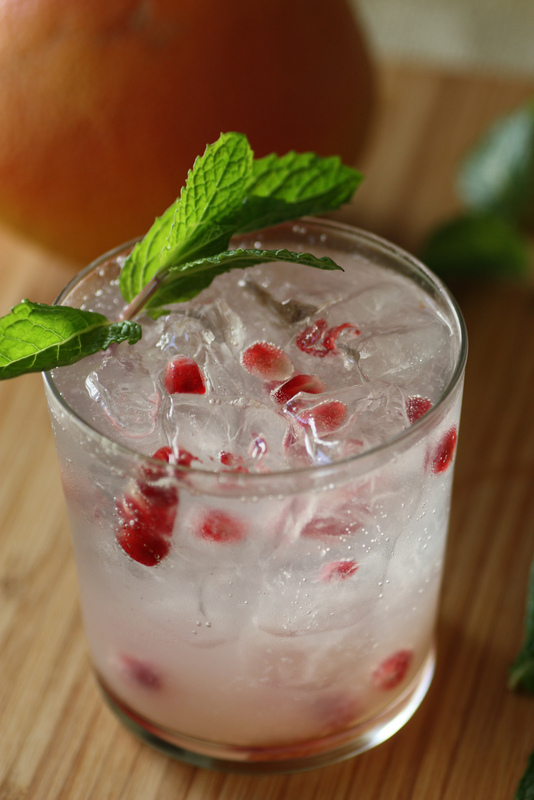 Pour in the soda water and garnish with the pomegranate seeds and mint leaves. *Tonic is one of my favorite cocktail mixers, and I love that there are now artisanal tonic syrups. I recommend using a syrup because it's not too sweet and has a little more complexity of flavor. 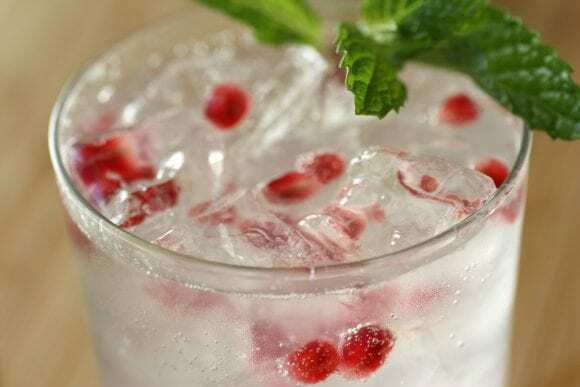 If you don't have tonic syrup, you can always substitute 1/4 cup regular tonic for the soda water and syrup. I might add a little extra grapefruit juice just to balance it out. Cheers to a effervescent holiday!! OTHER COCKTAIL RECIPES YOU MIGHT LIKE! Need more holiday cocktail recipes? Caramel Apple Sangria For The Holidays! For more inspiration, check out all these wonderful Christmas party ideas on our site, and check out these Christmas party supplies from vendors with listings on Catch My Party! Hi! I am excited about making this drink for a party tonight. Can you please clarify the amount of tonic syrup used? The recipe calls for half an ounce but it also says 2 tablespoons (which is a full ounce). Thanks so much!! Yes, is it 2 Tablespoons or or half an ounce of the tonic syrup? Also can you make this up a pitcher at a time? 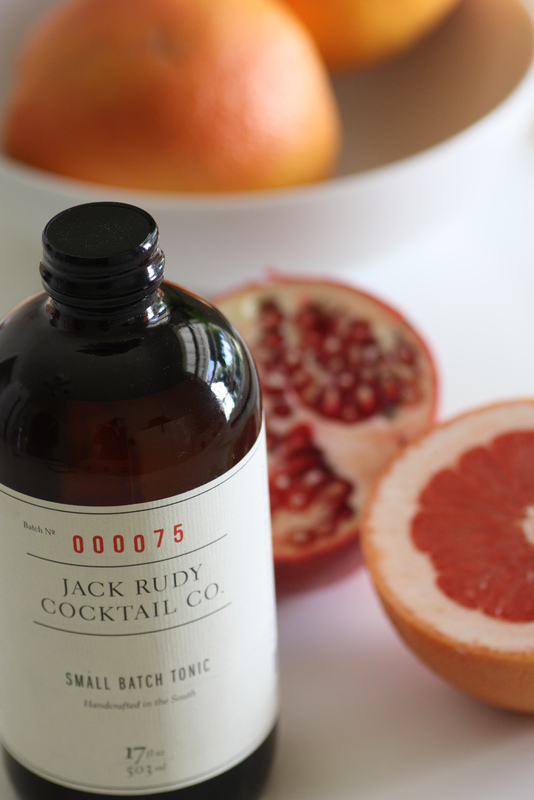 Jack Rudy tonic syrup is awesome. And for anyone else wondering, I'd use 1/2 and ounce of the syrup. Should be 1 TB.